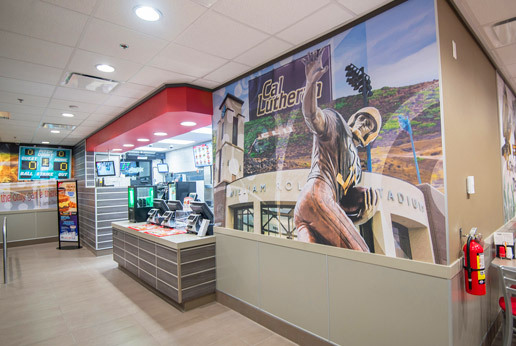 Giving National Restaurants the local touch! 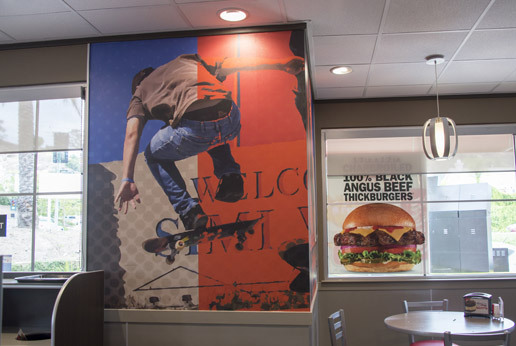 AGRetail have been delivering retail graphics and retail design solutions for retailers throughout the U.S. for many years and have gained a great reputation as offering a professional service. 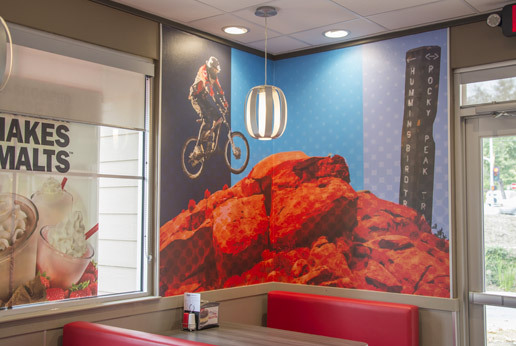 Known for our commitment to producing high quality retail graphics, we were approached by design firm, EC Photographics, to help produce custom wall coveringsfor both US and international restaurants. 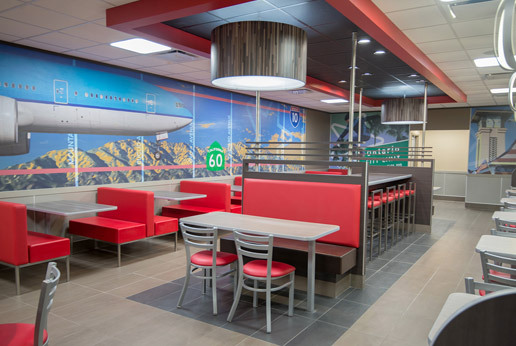 EC Photographics create noteworthy images with photography and graphics, but without the means to print to large scale custom wall coverings, that is where we stepped in. 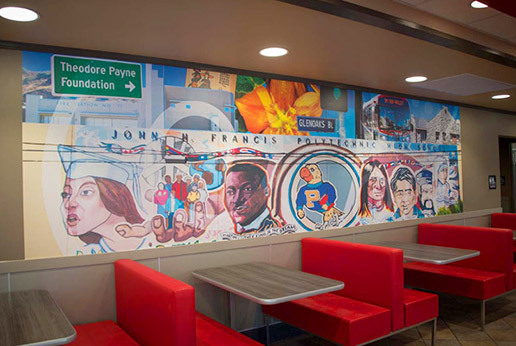 It has become popular for National Chain retailers and restaurants to have imagery in each location with local appeal in order to create a feeling of belonging to the local community. 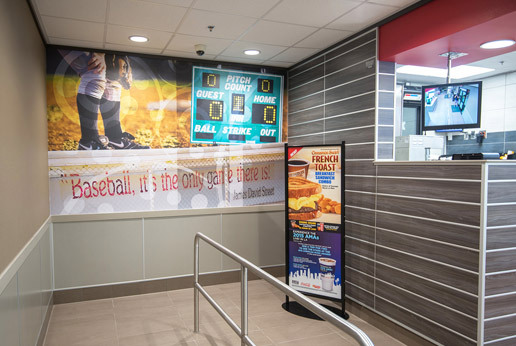 With approximately 1400 locations, the National Chain is currently in the process of rolling out these custom designed wall coverings to each and every restaurant in the chain. 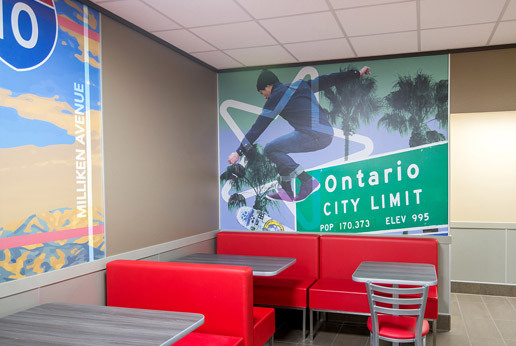 EC Photographics first design the murals, we print the wall coverings and ship to the individual locations for installation. As an ongoing project, we are likely to be involved for an extended period of time. Dedicated to working in partnership, we offer consistent pricing, delivery and service for both the designer and the end user and are committed to seeing this program through. 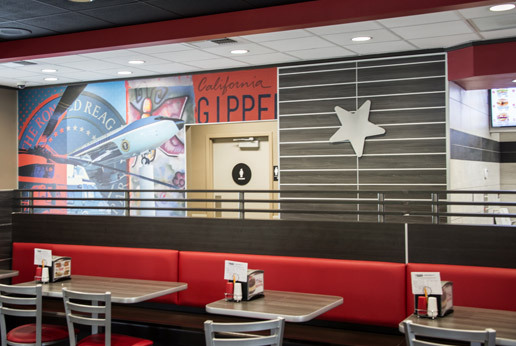 Keep an eye out and you may see these custom wall coverings at a Carl’s Jr or a Hardee’s location near you.